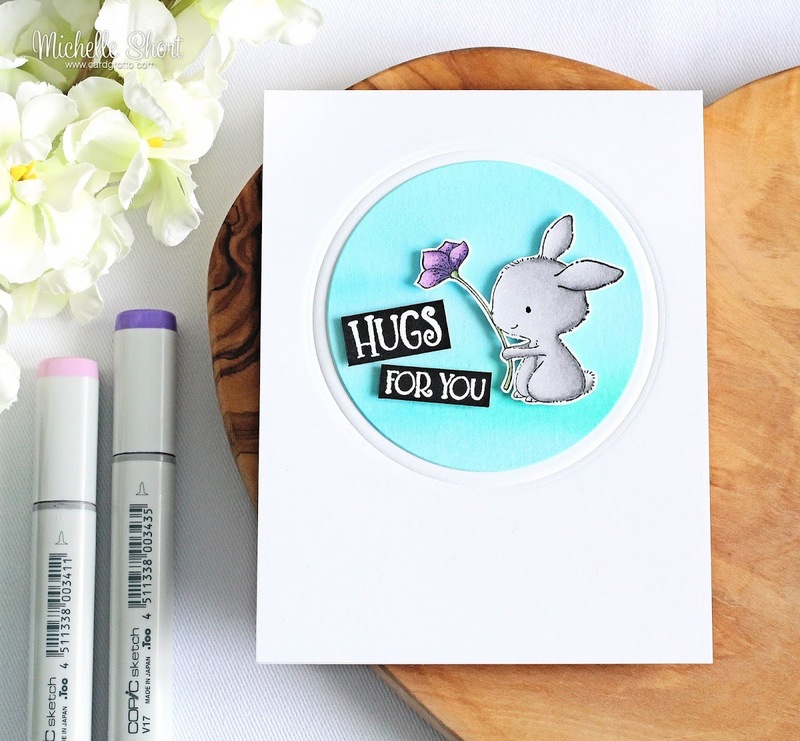 Hello there, today I have another card to share with you using the new Spreading Kindness release from Purple Onion Designs. Today I am using the super adorable Bella, along with one of the sentiments from the Essential Thoughts Sentiment Set. I started off by stamping Bella on to a piece of white cardstock using Memento Tuxedo Black Ink. I coloured her using Copic Markers (the colours I used are listed below the supplies section) and fussy cut her out with scissors. I added a little Spica pen to the flower for some added sparkle. 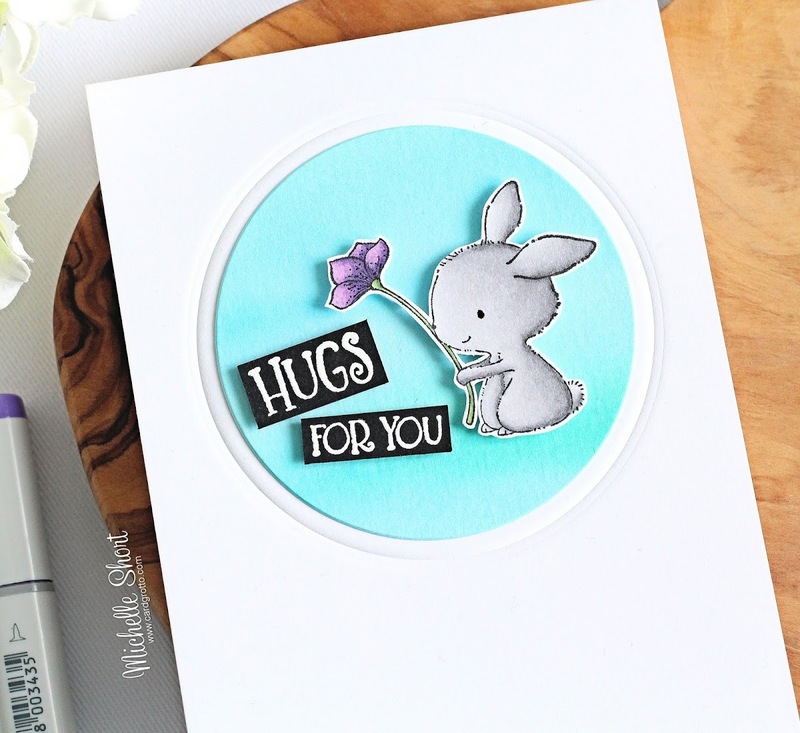 I took the 'hugs for you' sentiment and stamped this on to black cardstock with Versamark Ink. I applied white embossing powder and heat set. This was then cut in to two pieces with a craft knife and metal ruler. I took a piece of TH watercolour paper and added sprinkles of Nuvo Shimmer Powders in Atlantis Burst and Blue Blitz. I sprayed over a generous amount of water to get a soft look, and set aside to dry. Once dry, I cut this down in to a circle using a Hero Arts Circle Infinity Die. 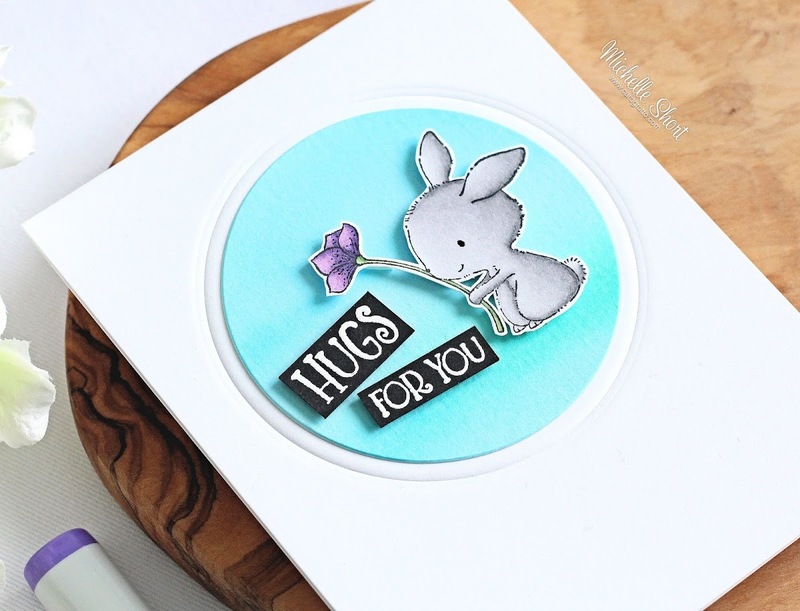 I used the next size up in the die collection to emboss a bigger circle on to the front of an A2 card base. I adhered the background circle to the card base with tape runner and then added Bella and the sentiment on top with foam tape. The shimmer powders give a lovely sparkle in real-life but since I added so much water to this piece, I was left with more of subtle sheen of sparkle which is really pretty. 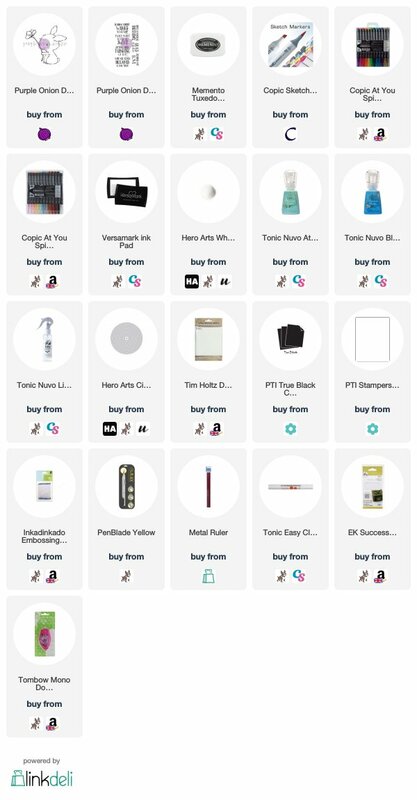 Sadly though, it doesn't show up in the photos. COPIC MARKERS: Bella - N5, N3, N2, N1, N0. Flower - G46, G43, V17, V15, V12, Spica Lavender 01, Spica Lilac 13. 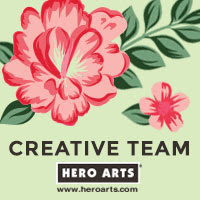 For more inspiration using the new release, please head over to the Purple Onion Designs Blog. Thank you so much for stopping by today. I really do appreciate it. I hope you have a great day and a wonderful week! 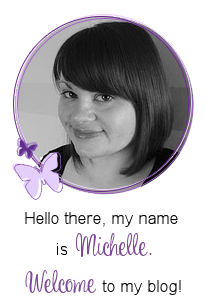 Ohh Michelle what a brilliant little cutie, I do so love my Purple Onion stamps all the little critters are so cute. You have coloured him up beautifully. Could this be any cuter Michelle? Love it!